Some heroes wear capes. Others fling themselves down hills in pursuit of an 8-pound wheel of cheese. 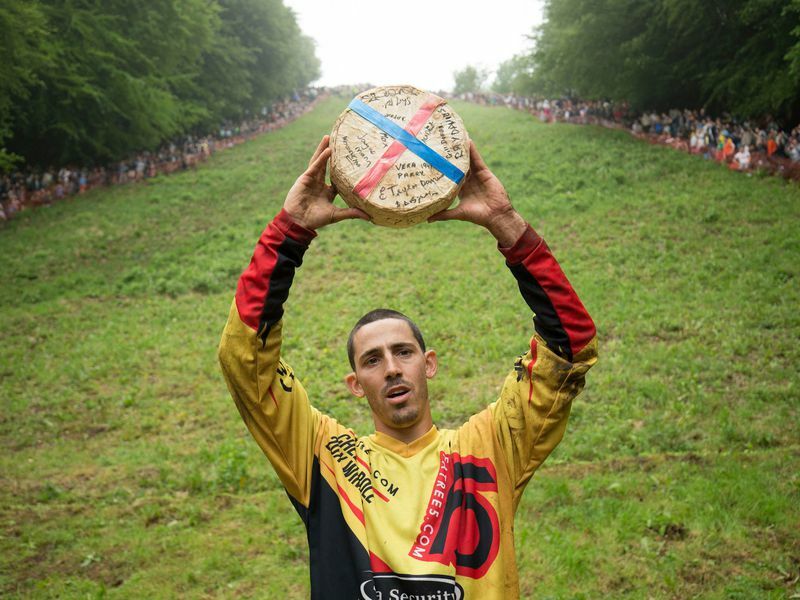 As the BBC reports, a British man has set a record for the most cheeses won in the annual downhill cheese chase that takes place in the English county of Gloucestershire. Chris Anderson has won 22 races in the past 14 years; this year, he won the first and third of the three men’s races. Anderson said his strategy was to “just run and try and stay on your feet,” according to the Press Association. For his efforts, he will get to take home the double Gloucester cheeses that he successfully chased. Unfortunately, Anderson only likes cheddar. 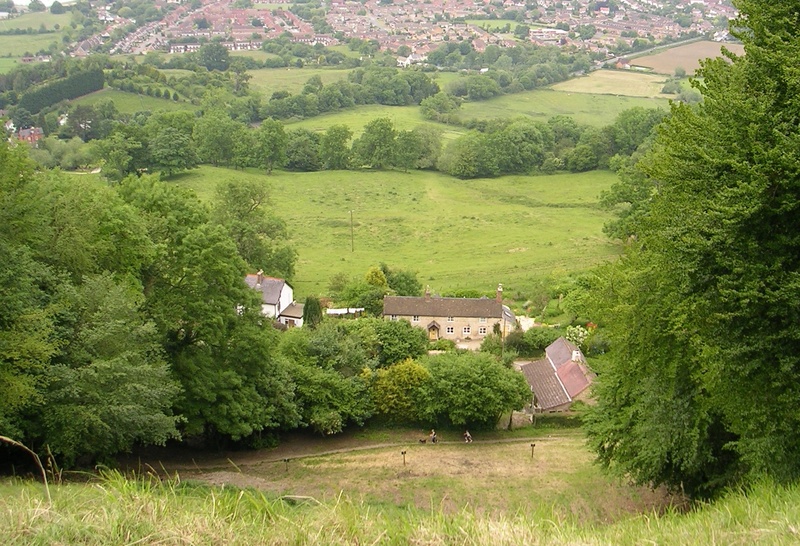 It is not entirely clear when Gloucestershire’s unusual sporting event, which takes place in the village of Brockworth, first began. According to journalist Fraser McAlpine, the tradition could go back as far as the 15th century, possibly evolving from a “Beltane-style ritual of rolling burning bundles of wood.” In a 2014 article, the BBC reported that the earliest reference to the race was found in an 1826 message to the Gloucester Town Crier, but it seems to have been an established tradition by that point. The rules of the game are simple: participants must chase a ball of cheese down Cooper’s Hill, which is so steep that it’s practically impossible to run down without tumbling over. And tumble the contestants do. In 1997, a record 33 participants were injured—some even broke bones. Over his storied athletic career, Anderson has broken his ankle and bruised his kidneys. In 2010, officials cancelled the race due to safety concerns, but rogue fromage fiends have continued to stage the event regardless. The BBC reports that “thousands of spectators” turned out to watch the most recent installment of the games. This entry was posted in Britain, England, Europe, Sports, Travel, World by rolyred. Bookmark the permalink.